Metallica 11/26 Las Vegas by Ian Bederman! Metallica – Las Vegas by Ian Bederman! 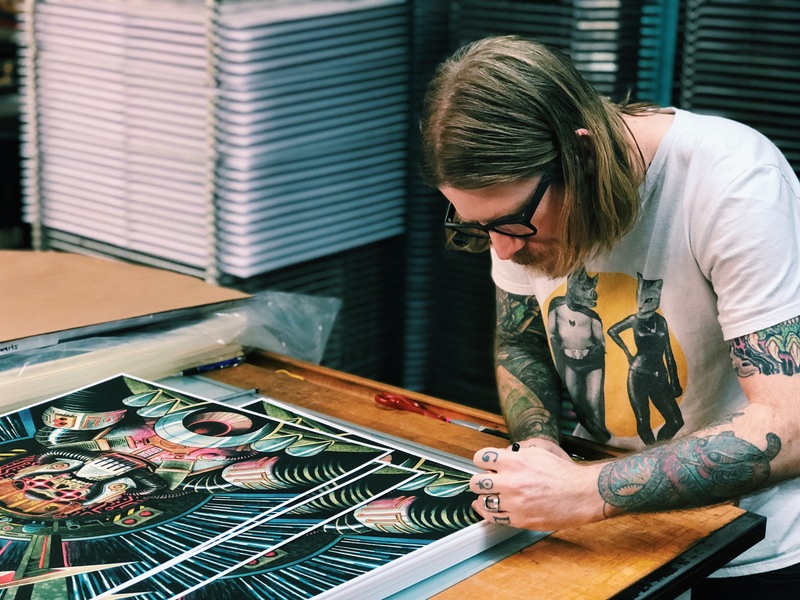 Artist copies from Last Night’s VIP poster for the Metallica show in Las Vegas is now available on Nakatomi! This amazing print is designed by Austin artist IAN BEDERMAN! This is Ian’s first print for Nakatomi, and we couldn’t be more blown away. These 18×24″ Lithographs are hand marked in a limited AP edition, exclusive to Nakatomi. Prints are in hand and ready for immediate shipment. PICK THEM UP HERE on Nakatomi. UPDATE 11/28- All prints are now sold out, and since Ian is local he came in to sign them all! Orders will start shipping ASAP! You can see a lot more of Ian’s art (including his amazing Tattoo work) on his Instagram account HERE. 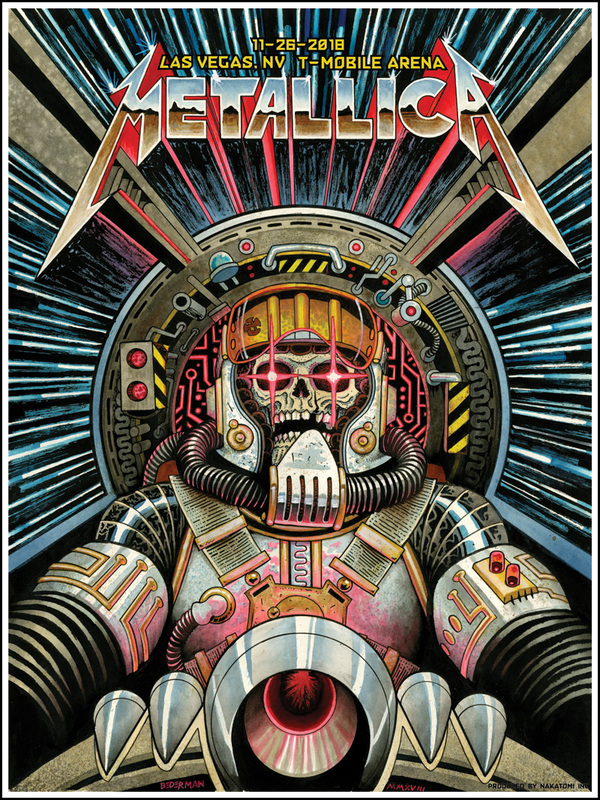 Follow us our new account on Twitter HERE to be notified of all future Metallica poster releases before anyone else! And Follow the Nakatomi Instagram HERE to see teases of upcoming prints in the Metallica series! ← Isle of Dogs and Adventure Time by Doyle! Designer Con- THIS WEEKEND!